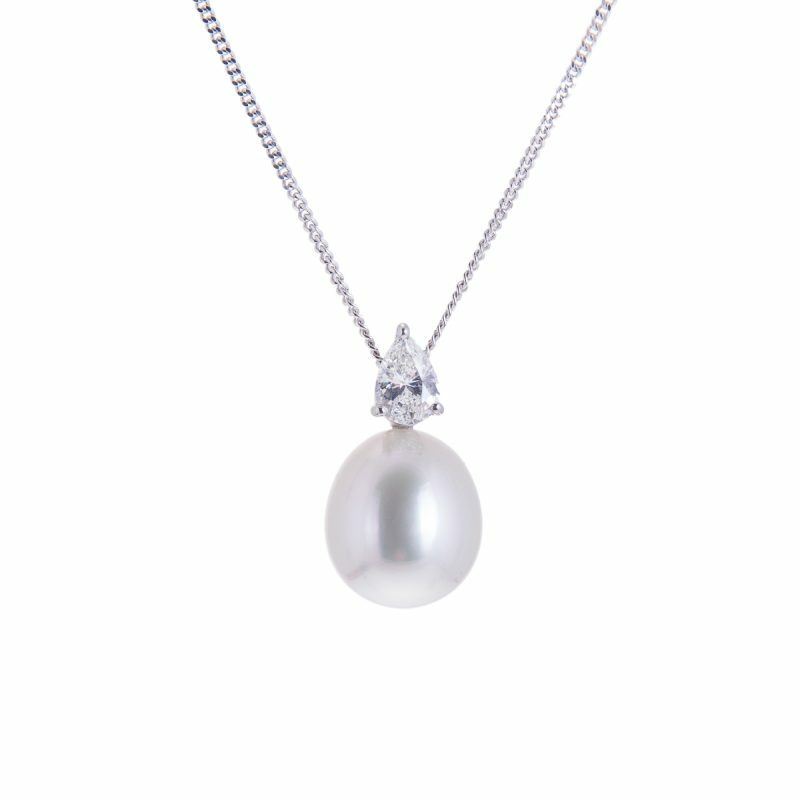 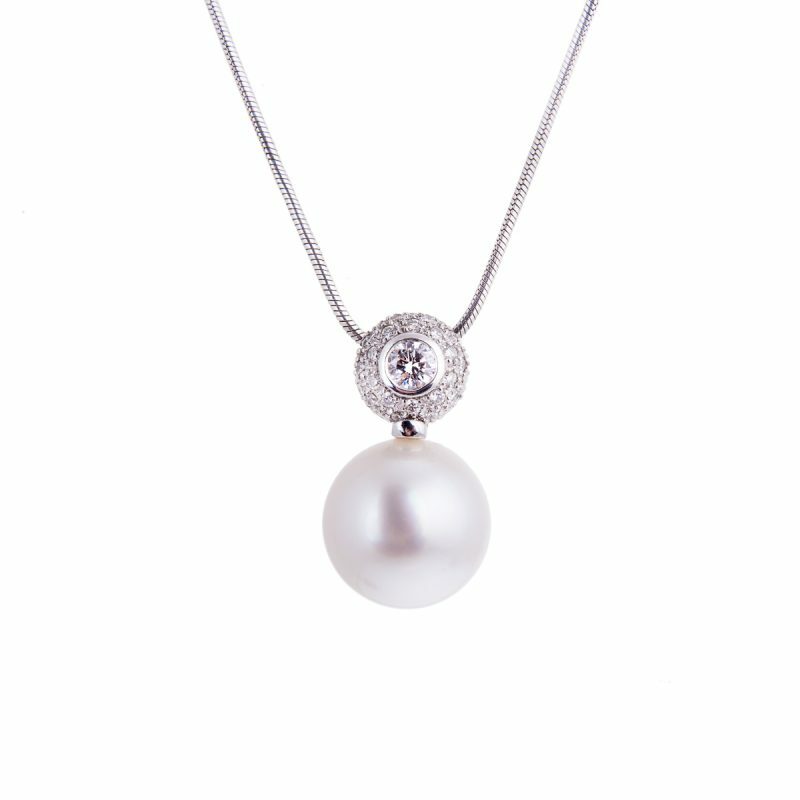 This stunning South Sea pearl and diamond pendant is sure to get you noticed. 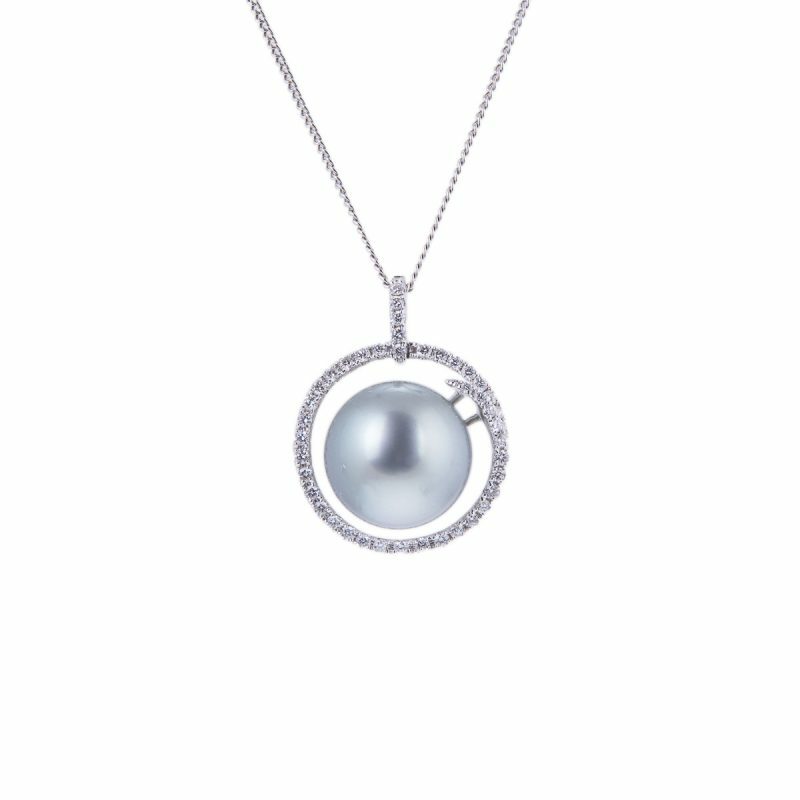 Mounted in 18ct white gold this beautiful pearl is suspended from a dramatic pavé set diamond halo pendant surrounding a central 0.22ct brilliant cut. 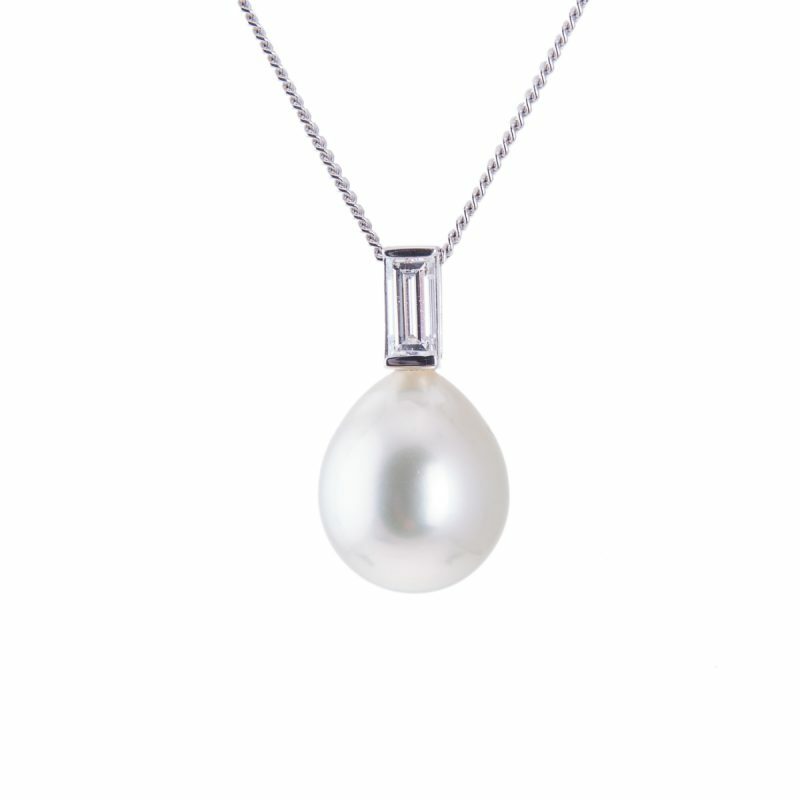 Few pearls are considered as exotic as the South Sea pearl which are perfectly suited to this contemporary design.